Was cannabis oil used by Jesus for the miracles he performed? This rather dubious question seems to have many takers, especially among users of cannabis. What is even more astonishing are the number of experts who believe that there is some substance to this theory. David Bienenstock, editor-in-chief of High Times magazine, has no doubt that cannabis was widely used as a treatment for various diseases and ailments in the Middle East about 2,000 years ago. He believes that the effectiveness of cannabis oil was well known to the people in Jesus’ era. In fact, scholars are quite certain that one of the ingredients that went into the holy anointing oil was cannabis. They cite the Bible passage from Exodus 30: 20-25 as proof. This particular passage has a detailed description of the ingredients required for the sacred anointing oil. Historians believe that one of the ingredients mentioned, ‘250 shekels of q’aneh-bosm’ which is now commonly known as ‘keneh-bosom,’ was actually cannabis. A historian of cannabis, Chris Bennet, too believes that cannabis finds a prominent mention in the Bible. He is of the opinion that if cannabis was a key ingredient in the sacred anointing oil that made Jesus the Christ, then those persecuting users of cannabis should be labeled anti-Christ! He backs up his theory by citing the 1936 work of a little-known etymologist from Poland, Sula Benet. In her work, she concluded that the root of the word ‘kan’ meant hemp or reed, and ‘bosom’ was the word for aromatic. Although most historians are quite certain that ‘keneh-bosm’ is the root extract calamus, used for medicinal purposes, Bennet argues that a mistranstlation during the third century resulted in this misconception. Professor Lytton John Musselman, from the Department of Botany at Old Dominion University, does not buy this theory. He is of the firm opinion that the original translation of the word ‘keneh-bosm’ is the correct one. He reiterates that the medicinal properties of calamus are in tune with the healing properties of the anointing oil that the Bible speaks of. He explains that the efficacious calamus is also a key ingredient in Ayurveda, which is an ancient form of healing. 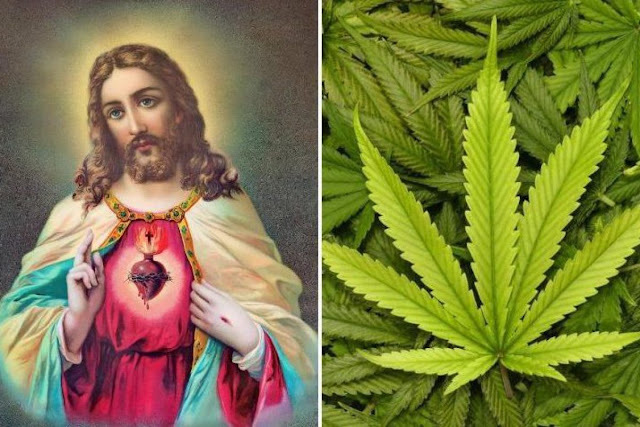 Despite these logical arguments by historians, there are those who would still like to believe that Jesus had an affinity for cannabis. In fact in Colorado, the Stoner Jesus Bible Study maintains that Jesus could not have been so peaceful and loving without being stoned!